SAN FRANCISCO, CALIFORNIA: David Morse, a veteran independent journalist and long-time member of the San Francisco Bay Area Independent Media Center (Indybay) has settled his lawsuit over the University of California - Berkeley Police Department’s (UCBPD’s) improper arrest, imprisonment, and seizure of journalistic materials during a student demonstration he was covering as a journalist. In exchange for Mr. Morse’s agreement to dismiss the lawsuit, the University of California Regents have paid $162,500 and have agreed to modify UCBPD policies and procedures regarding acceptable means of seeking materials from a journalist or anyone possessing materials with an intent to disseminate to the public and have also agreed to conduct extensive training sessions for UCBPD officers regarding protections for journalists under federal and state law. UCBPD officers arrested Mr. Morse while he was covering a demonstration on the UC-Berkeley campus on December 11, 2009. Mr. Morse was making news photographs of a march on the UC-Berkeley campus, in which some participants caused damage to the exterior of the Chancellor’s house and other property, when UCBPD officers arrived at the scene. While all the protesters fled at the approach of the UCBPD squad car, Mr. Morse was the sole person who remained at the scene, continuing to make photographs up to the arrival of the first police officers. Mr. Morse identified himself as a journalist, and offered to show the officers his press credentials. UCBPD officers instead immediately detained and then arrested Mr. Morse and seized his camera, telling Mr. Morse that they wanted his camera because they believed it contained evidence of a crime. Mr. Morse was handcuffed and held in the back of a police car for approximately two hours, and then transported to the Santa Rita county jail, where he was placed in the general population and held overnight. Despite the fact that UCBPD had evidence that Mr. Morse was present on the UC-Berkeley campus at the time of his arrest in his capacity as a journalist photographing the demonstration, and despite the lack of any evidence that Mr. Morse had been participating in any demonstration or vandalism on campus, as opposed to acting solely as a journalist, Mr. Morse was charged with attempted arson of an inhabited structure, vandalism, participation in a riot, attempted burglary, threatening a university official, and two counts of assault with a deadly weapon against a police officer. His bail was set at $132,500. On the basis of an affidavit submitted by a UCBPD officer that concealed the fact that Mr. Morse had notified UCBPD officers that he was a journalist and mischaracterized Mr. Morse’s conduct at the scene of his arrest to make it appear he had been fleeing from officers, a search warrant was issued on December 12, 2009, for Mr. Morse’s unpublished news photographs just prior to Mr. Morse’s release on bail that evening. UCBPD searched and utilized Mr. Morse’s photographs to identify student participants in the protest, and refused to return the photographs, or any copies, to Mr. Morse, depriving him of the ability to fully report on the protest. Mr. Morse filed a motion to quash the search warrant under state law that prohibits using a search warrant to obtain unpublished journalistic materials. 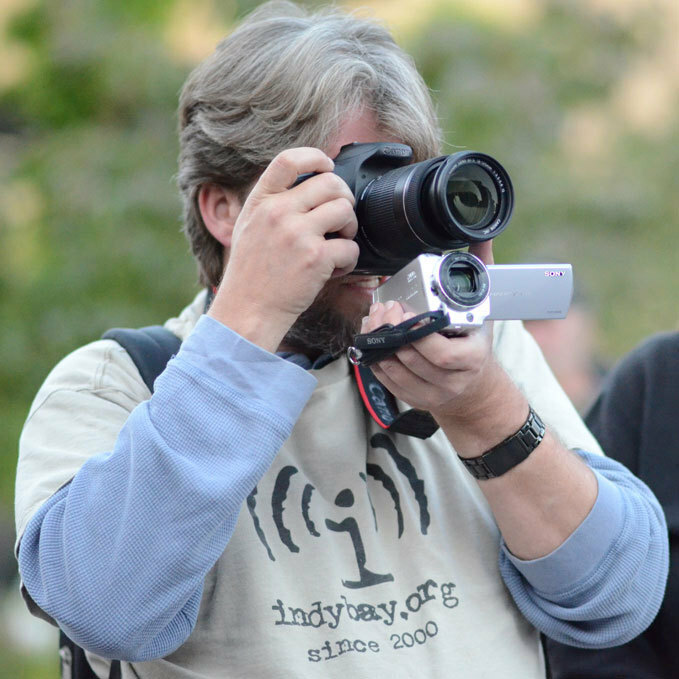 On June 18, 2010, the state court granted Mr. Morse’s motion, quashed the search warrant, and ordered UCBPD to return all copies of Mr. Morse’s seized photographs. When UCBPD returned the photographs, one had been deleted from the memory disc: the last photograph showing the approaching police car. Mr. Morse filed his federal lawsuit after UCBPD refused to provide compensation to Mr. Morse for this infringement of his rights.